This story shares a look into the world of Isabella, a young immigrant with cerebral palsy whose life is changed when she has access to health care coverage. 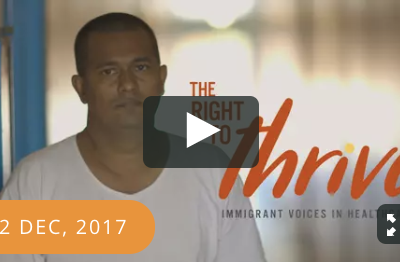 This is the first video in the “Immigrant Voices in Healthcare” video series, a collection of short documentaries highlighting the stories of California immigrants in their journey to access healthcare. Millions of lives have been transformed as a result of coverage and access gains through programs like CHIP. Isabella, an immigrant youth with cerebral palsy who was bed ridden, immobile and as a result and had an impact beyond physical motion. Her studies were impacted and she experienced bullying at school. Through coverage gains, she was able to get the necessary treatment and since, has progressively gained independence and optimism for her future. She is not alone.